Okay put your diapers on look what i scored! All you 4th gen Luders know how hard these are to come by!!!!!! Last edited by xxpreludexx; 03-14-2010 at 01:08 AM. ^ Well what do you think about having some kind of plastic wrapped around the drivers mat. lol Its going in a show car so the rest wont be stepped on. loool. I kno deff won't let that happen. Your lucky 5th gen mats are everywhere. hahaha. You bet they are. mine are all worn up, yeah didnt know either that they are hard to find, i guess i better start lookin lol. 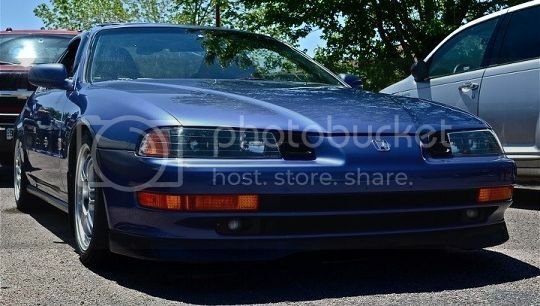 im glad mine mine came with the lude in mint condition as well. sh!t, guess i'll have an even harder time finding TAN ones! lol theres a tan set on egay now man haha just givin the heads up! btw do 5th gens fit comfortably in 4ths? yea the tan mats are available because not so many cars had that color combination. The 5th gen mats do fit in the 4th gens i heard. yea man i figured they would but how flush would they sit? From what i heard they fit pretty perfect. Would ya'all be interested in hand crafted/customized floor matts? I know a guy that makes them to spec, and color, inlaid designs, etc, etc. I'll send him an invite to join if you like.... Mods??? Rules?? ^ perhaps, do you have any pictures of some?